1. To ensure safety, please place the light where children can not reach. 2.to reduee the risk of overheeting, replace bumed-out lamps promptly, use 6 volt, 0.72wattle lamps only. 3. To reduse the risk of the fire and electric shock: a). Do not install on trees having needles, leaves or branch coverings of the metal or materials which look like metal. And b). Do not mount or support strings in a manner that can cut or damage wire insulation. 4.To reduce the likelihood of excessive heat and passible damage, use only decorative lamp accessories packaged with product. 5.Always unplug this peroduct before inatalling or replace fuses and/or lamps. 6. 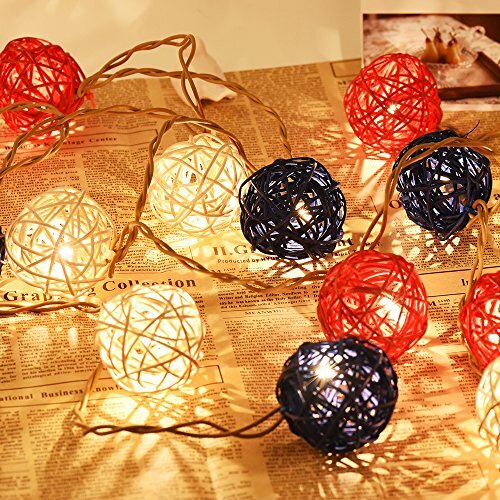 If you have any questions or have a wonderful idea after receiving the light string, you are always welcomed to contact us by e-mail, our customer service staff will answer you within 24 hours.